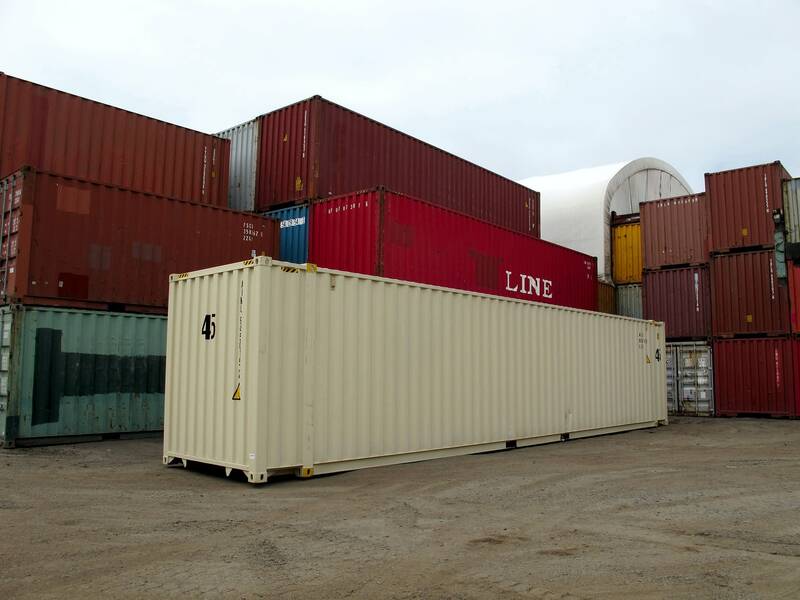 TRS sells + rents new used 45 foot X 9'6' Highcube steel cargo containers. Available in New one-trip and Used Condition. Available for Sale, Export, Rent and Modifications. Available Coordinating Roadworthy Chassis for Sale or Rent. 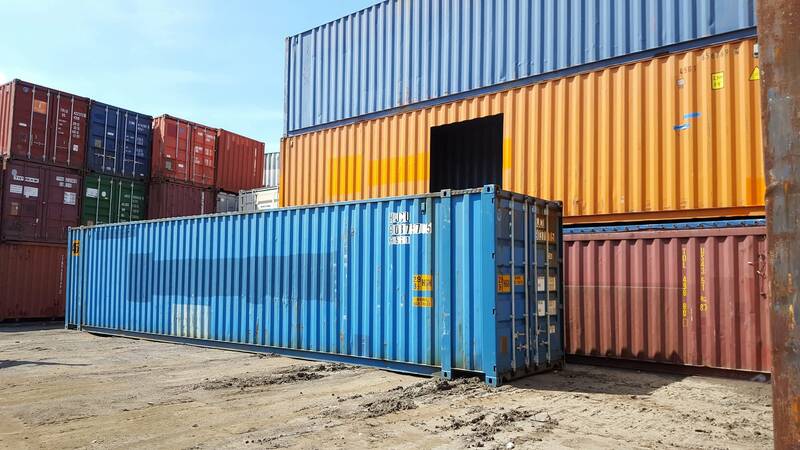 Our compliment of inventory includes New One-trip as well as Used 45ft L X 8ft W X 9’6′ H cargo containers. 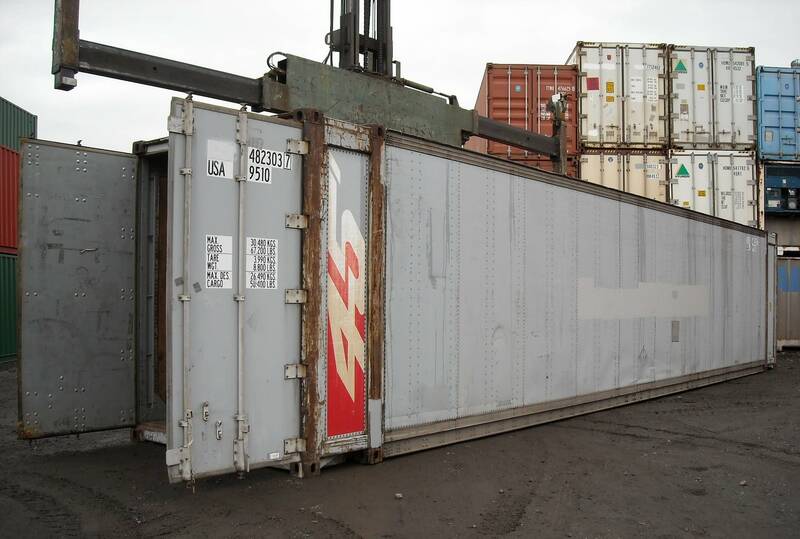 Units are manufactured with two swing doors at one end for maximum security. Due to their extreme storage space we offer many types of modifications to gain additional access to the boxes. 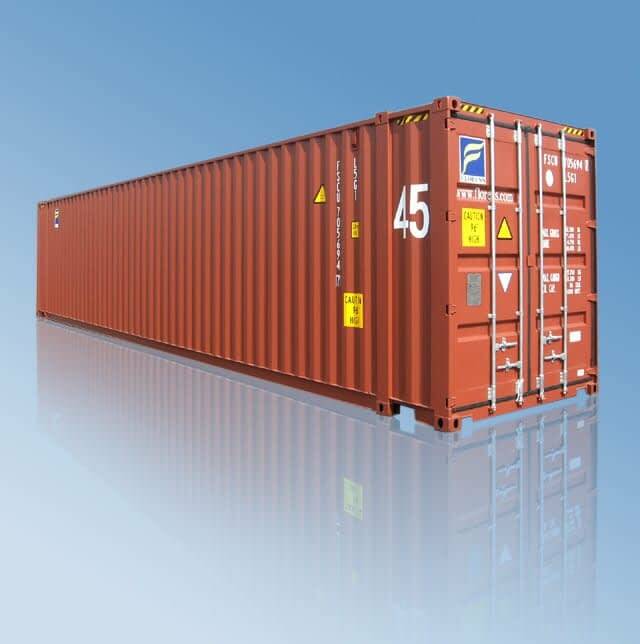 45-foot containers are the longest ISO container suitable for the domestic market. They can still fit on a roll off truck for easy deliveries. Additional height and length for larger product storage. 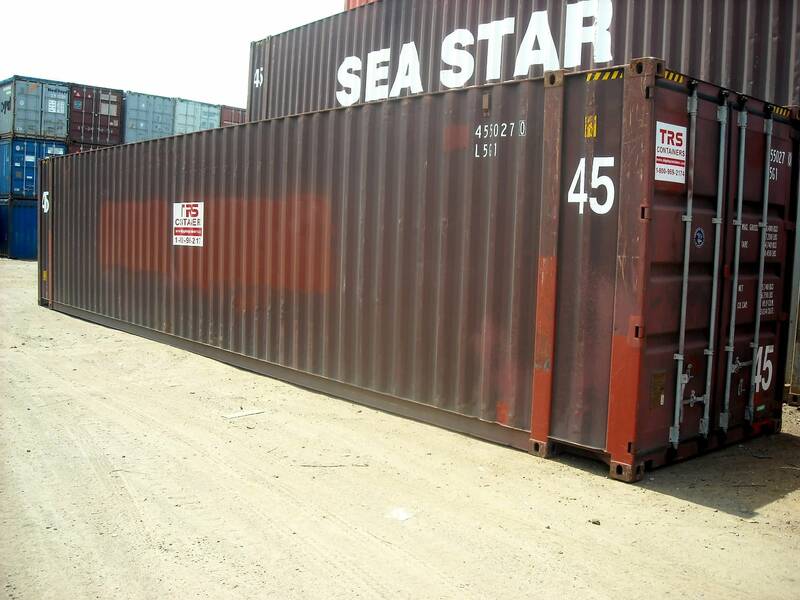 Provides more cubic capacity to fit more cargo. 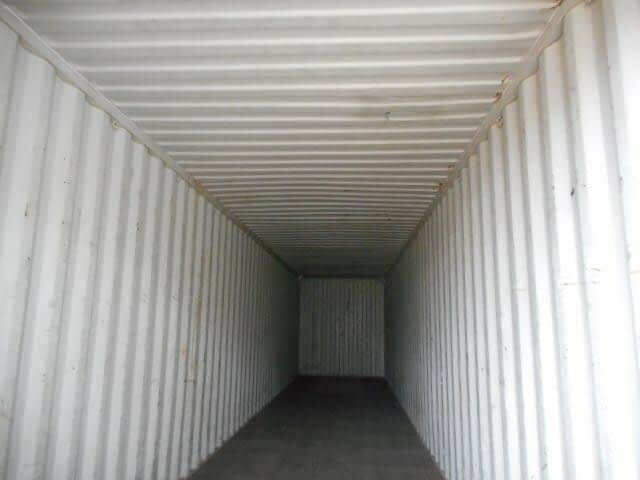 Reusable and transportable by chassis, roll off, rail, ship. 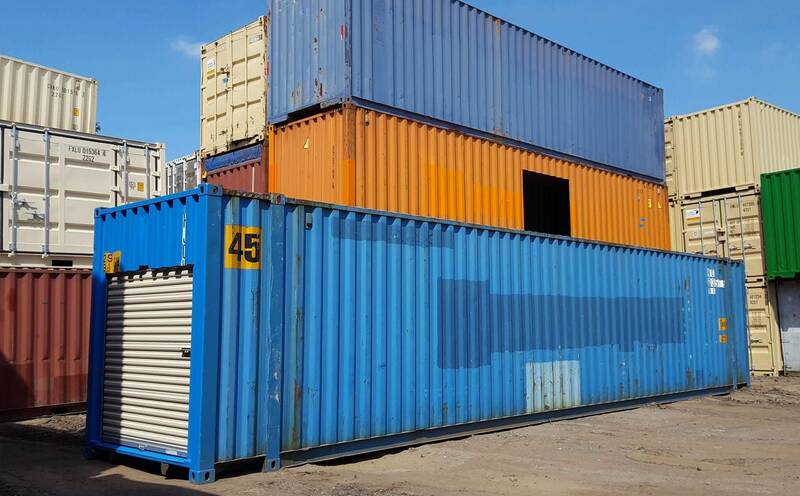 Used pricing can be similar to a smaller 40ft container. Airtray vents on both sides to allows air to flow and avoid condensation. Blasted, primed, painted with marine grade epoxy to reduce corrosion. Coordinating chassis are available for transport. Modular Battery Storage for power grids. 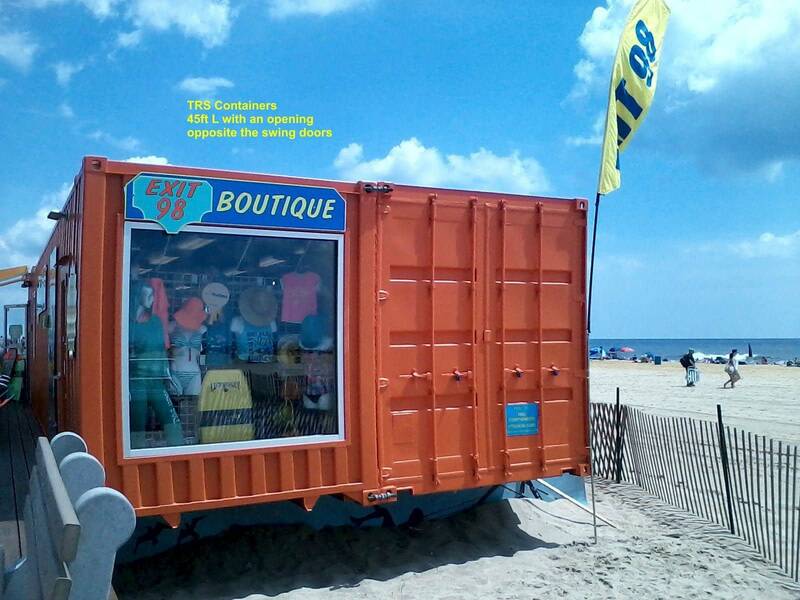 Air Compressors, Transformers and Generators provided. Explosion proof lighting, switches, vents. Overhead I-beam with an electric hoist.